Crockpot Applesauce. Homemade and Preservative Free! Home Recipes Dessert Crock Pot Apple Sauce. Homemade and Preservative Free! If you’re like me, you love repurposing your crockpot for a thousand different things! Of course, classics include stews. But did you know you can make desserts? I’m sure you’ve heard of crockpot applesauce! It’s super simple and you can avoid all those store-bought preservatives. This is so easy! 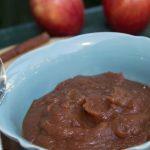 All you need for this crockpot applesauce is apples, cinnamon, lemon juice, and water! You can always add regular sugar but I opt for none if the apples are relly sweet or use coconut sugar. What Apples Should I Use? For this crockpot applesauce, I recommend the golden delicious! They’re naturally sweet so you don’t need a ton of extra sugar (you can add however much you want though) and the applesauce won’t come out overly tart. If you want tart applesauce, you could try it with granny smith apples. It’s totally up to you. For a classic applesauce, use golden delicious. Feel free to experiment with any type of apple, though! Crock pots are so versatile! Did you know you can even make applesauce? 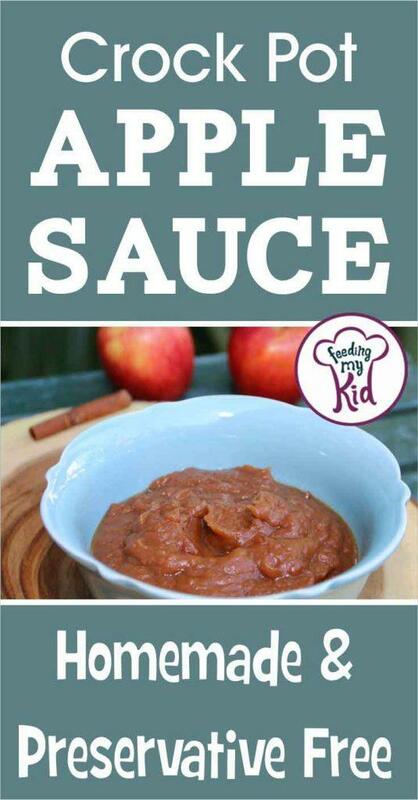 This crockpot apple sauce is so easy, homemade, and preservative free! Peel and core apples. You can cut them up into small chunks (the smaller the easier they will break up) but no need to dice. Place the apple chunks in the crock pot and toss with the lemon juice. Once coated, go ahead and the cinnamon and sugar (if using) and give it all a stir. Lastly, add in the water. The hardest part is done! Set your timer for 3 hours, checking at the thirds house mark. If the apples are completely cooked through and consistency is right for apple sauce, you're good to go! If not, leave it for another hour. Enjoy immediately or store in the fridge to chill and then eat. Will last for about a week in the fridge. Enjoy! Previous articleBoost Your Immune System with this Hearty Mushroom Soup!